“When we get to the playoffs should we be taking either the best 16 teams, or even if we go eight from the West, eight from the East, seeding one through 16 going into the playoffs? That is something that has gotten serious attention, not just recently but over the last few years at the league office. I think, as I’ve said in the past, the obstacle is travel, and it’s not tradition, in my mind, at least. It’s that, as we’ve added an extra week to the regular season, as we’ve tried to reduce the number of back-to-backs, that we are concerned about teams crisscrossing the country in the first round, for example. We are just concerned about the overall travel we would have in the top 16 teams. Having said that, you also would like to have a format where your two best teams are ultimately going to meet in the Finals. Obviously, if it’s the top team in the East and the top team in the West—I’m not saying this is the case this year—you could have a situation where the top two teams in the league are meeting in the conference finals, or somewhere else. The travel concern has to do with the rhythm of a seven-game series played between teams from, say, Miami and Portland. When it’s one series, at the very end of a season, with all the hype of a Finals series, it’s no big deal, but the potential for every round of the playoffs to subject a relatively far-flung team like the Trail Blazers to grueling cross-country travel is a significant hurdle. 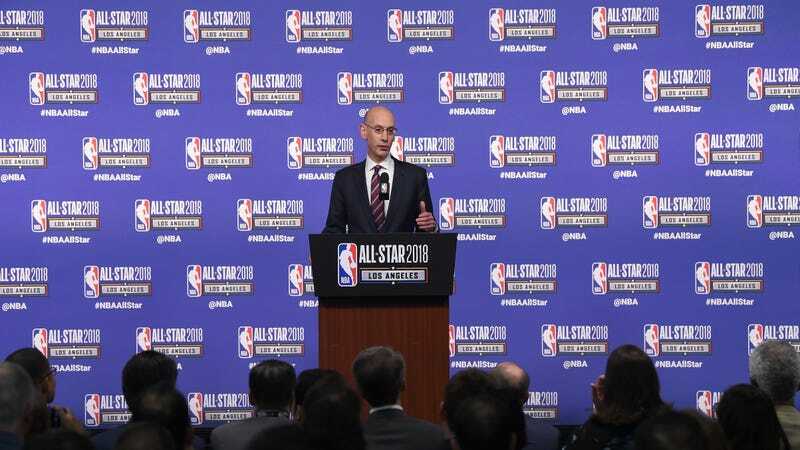 The East vs. West division of the league and the playoffs lends a fun geographic narrative, but the primary concern is logistic: the quality of basketball is likely to suffer as the travel requirements are increased. Then there’s this: the conference imbalance isn’t quite what it was even a couple seasons ago. The top nine teams in the East are all legitimately solid teams, as are the top ten teams in the West. The top two teams in the East, record-wise, are right there with the top teams in the West, and the third-best team in the East still has the best basketball player on earth. And all this obscures the fact that there’s no real hard-and-fast way of establishing which exact teams are the two best in the NBA. The Rockets and Warriors might clearly be the league’s best right now, this season, but wear and injuries and adjustments might make things look a lot different between now and the Finals. All of that is a long way of saying, I think changing the format of the playoffs is a solution in search of a problem. The league has been as imbalanced as ever over the last three seasons, and at the end of each of the last three seasons fans have been treated to the best player on earth taking his underdog squad against one of the greatest teams in NBA history. That does not strike me as a condition that especially needs fixing.